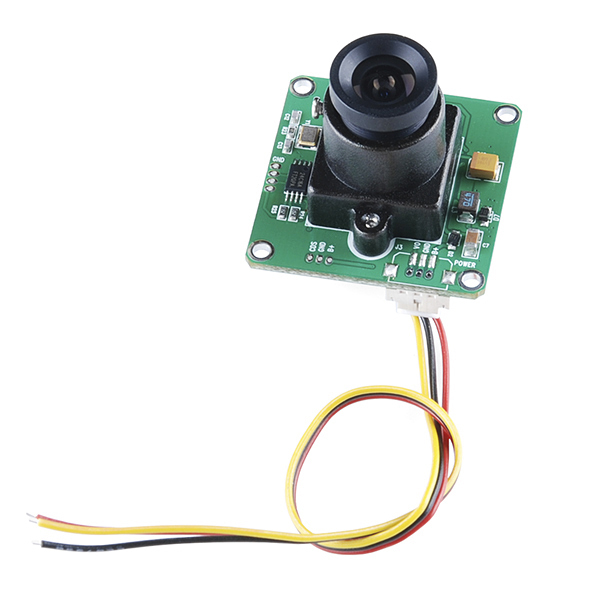 Description: This is a high-quality color CMOS camera module. Power the CM-32 module, hook up any display, monitor, or LCD screen with an RCA input and get vivid color video at 728x488 resolution. Module is easily mountable and has a wide operating voltage (6V to 20V). Comes with high quality optics, all the on board circuitry to output RCA signal, and cable harness.